In an effort to re-assure people that stricter gun control laws are no threat to law-abiding gun owners, gun control advocates often say, “No one is coming to take your guns”. “I have some very disappointing news for some of the more-virulent foes of sane gun-control legislation. If you’re what the National Rifle Association loves to call a “law-abiding American citizen,” no one is going to take away your guns. Obviously, Mr. Pollak hasn’t been paying attention. Legislators in at least five states, including his home state of New York, have recently introduced gun control proposals which would include, to at least some degree, confiscation of firearms which are lawfully owned by citizens of those states. Perhaps even more important than possible gun confiscation legislation is what might happen in one of those disaster situations, or MCEs, discussed in my previous blog post. After reading that post, #2 son Matt brought to my attention one aspect of the Hurricane Katrina disaster in New Orleans of which I was unaware or which I had forgotten — the confiscation of civilian firearms at the very time they were most needed by their owners. Pursuant to this order, New Orleans cops seized privately owned weapons without benefit of search or arrest warrants and, sometimes, by use of excessive force. One such excessive force incident was the seizure from 58 year old New Orleans resident Patricia Konie of a revolver. Konie had declined to evacuate her home, which was well-provisioned, and kept the revolver for self-protection. Several police officers entered her home and demanded that she surrender the revolver. When she refused to do so, they took it from her by force, fracturing her shoulder in the process, then took her into custody for refusing to give up her weapon. Unfortunately for the cops, the incident was video recorded and became the basis of virulent criticism of the confiscation order and the police tactics. Several lawsuits ensued and, on September 23rd, a federal court issued an order restraining any further confiscation of lawfully owned weapons. In response to the criticism (and the lawsuits), the city initially denied having confiscated any weapons. Ultimately, however, the city admitted that more than 1000 weapons had been illegally seized. And, despite several court orders that the weapons be returned, it was more than two years before this was finally accomplished. As a result of these seizures, Louisiana enacted a 2006 law which prohibits confiscation of firearms during an emergency, unless the seizure is necessary to prevent immediate harm to a police officer or other person, or if it is part of a criminal investigation during which seizure would otherwise be lawful. Subsequently, several other states passed similar laws. And, as part of the Department of Homeland Security Appropriations Act of 2007, a federal law prohibiting the seizure of lawfully owned private weapons during an emergency was enacted. There are some law enforcement officials who understand and are prepared to uphold the law and the 2nd Amendment. 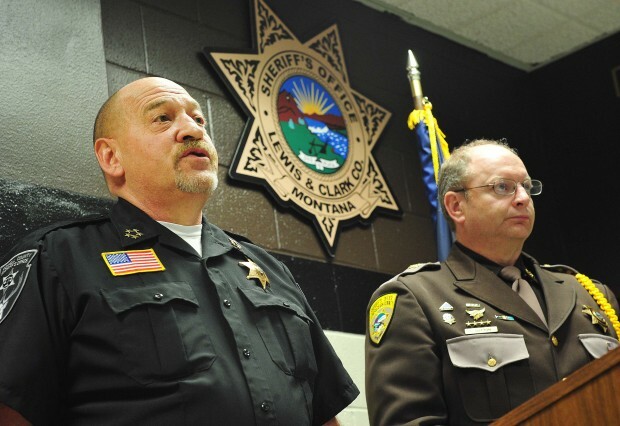 A group of Montana sheriffs has spoken out on the subject, vowing that they would not enforce any unconstitutional new federal gun laws. Nevertheless, there are plenty of government officials like New Orleans Police Superintendent Compass who are more than ready to ignore the law and the Constitution in their zeal to disarm people. That they may claim, as they often do, that they are acting out of concerns for “public safety” does not justify their unlawful actions. This kind of official mentality brings to mind the saying — often mis-attributed to Thomas Jefferson — “The price of freedom is eternal vigilance”. Whoever may have actually said it, the sentiment expressed remains valid. Today, on the subject of private ownership of firearms, it is necessary to assert that vigilance against our own government officials and in favor of our constitutional rights.